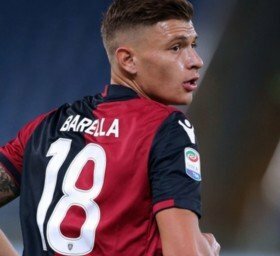 Chelsea have reportedly suffered a transfer blow with Inter Milan beating them to the signature of Nicolo Barella in the ongoing transfer window. The Cagliari midfielder was earmarked as one of the Blues' prime targets to replace the departed Cesc Fabregas but their delay in negotiations have benefited the Nerazzurri. According to Calciomercato, the San Siro outfit are understood to have leapfrogged the Blues in the player's pursuit and they have agreed on an initial £35m fee to secure his services this month. Cagliari were initially reluctant to part ways with the Italy international but they have eventually decided to sanction his sale after landing Nahitan Nandez from Boca Juniors. With Barella out of the radar, the Blues could shift their attention towards signing Leandro Paredes from Zenit St Petersburg for whom they have already failed with an approach. Chelsea had lodged a bid worth £26m for his signature earlier in the month but Zenit are said to have snubbed the offer. Zenit are understood to value Paredes at around £35m.